It’s here – National Tequila Day. Not that we ever need a reason to celebrate! National Tequila Day has been an exciting addition to the event calendar for many years. Of all the fun foodie days, this one is our favourite. 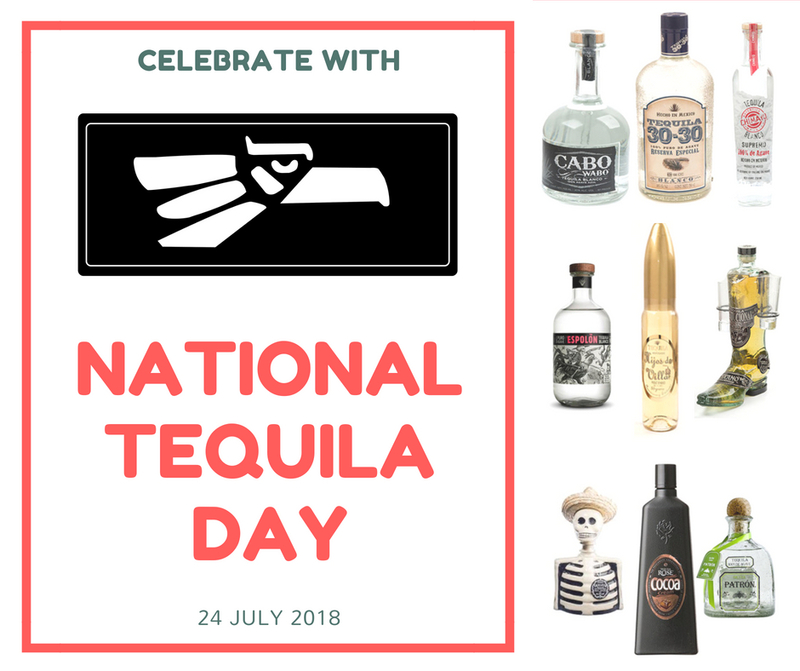 But why wait until the official National Tequila Day on July 24th? You can rejoice in this dynamic drink any day of the year… or every day if you feel adventurous. This iconic Mexican liquor is a staple at many gatherings all over the world, and it really does know how to party. We think that National Tequila Day is the perfect opportunity to host a Mexican-themed dinner party. So it’s time to dust off your sombrero and serve up some authentic Mexican fare. As this special day falls on a Tuesday this year, it might not be much of a stretch for many homes. If you are already Taco Tuesday enthusiasts, then make sure you have a bottle of tequila and some great cocktail recipes on standby! Check out our Latest News for more food recipes. Tequila is the great all-rounder. It has plenty of punch and is the key ingredient in some of the best cocktails going around. Whether you’re a fan of the Tequila Sunrise, Margarita, Paloma or Bloody Maria, you have to admit that National Tequila Day is a day worthy of alcoholic homage. If you’re not up for the fancier tequila mixes, then you can keep it simple with a fun, hard-hitting Tequila Slammer! So, what makes this drink so wonderful? Is it the fact that more than half of the beverage is made up of blue agave, which can take up to 12 years to sufficiently mature? Is it that tequila is more often than not harvested and created by hand? Or is it that we are now discovering evidence to suggest that it can help break down dietary fat? We really like this last one! Perhaps you love tequila because it brings life to any party and plays a part in many wonderful and groan-worthy memories. Whatever your reason, National Tequila Day is definitely one to add to the diary.